At IOHK, we are at the forefront of cascading disruption. It’s a big mission and one that can only be achieved with the help of the best people in the industry. We are proud of the diversity that our organization already has. Our company is comprised of people from all around the globe, united in a common goal to achieve our aims of scalability, interoperability, and sustainability of complex systems. 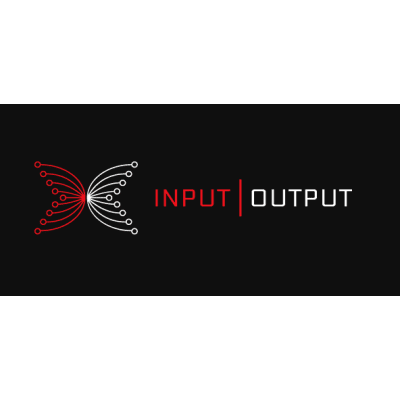 Input Output is looking for an experienced Business Analyst who is technically proficient and has experience of Software Development projects to join our fast-growing technology start-up. You’ll be working with an outstanding team of people who are based around the world, including researchers, academics, and developers, who are doing ground-breaking work in the blockchain industry. We work remotely and offer a flexible working style, with teams based across many time zones, we keep in regular contact with messages and internet calls. Teamwork and collaboration are key, and the job will suit a flexible and organised self-starter who is happy working independently. We are looking for an experienced BA who will work closely with the Project and Product Managers to develop the business and functional requirements for new products and changes to existing ones. Accurate requirements ensure company leadership know what will be delivered and development teams know what to build and test. Wherever you decide to work, you will be supported by and be part of IOHK’s remote work culture that emphasizes online communication via Trello, Slack, GitHub, Hangouts. ● Contribute to the project’s vision document. ● Work with the Project & Product Manager to collect business requirements (project background, stakeholders, data, non-functional, interface, business glossary / definitions). ● Preparing and maintaining the Requirement Traceability Matrix (RTM). ● Convert business requirements into functional requirements and ensuring they align with stakeholders (developers, testers, business stakeholders of the project). ● Review test case and test functionalities against it. ● Work with the Test Manager and Product Manager to ensure all features are incorporated into the project test plan. ● Facilitate meetings, demonstrate brainstorming / consensus building skills, and interact with executive level project staff. ○ You don’t need specific Blockchain experience, it would be a bonus if you did but we are looking for people who understand technology and the SDLC, so you can work with our technical teams and produce functional specifications. ● Completion of a relevant degree such as Computer Science or Software Engineering, it would also be beneficial if you have also completed a Business Studies / Business Administration or similar degree course. ● Passion for working alongside teams that want to explore new frameworks and systems that are more fair, open and transparent. ● Collaboration and Inclusion: Innovation happens when people from different backgrounds and disciplines work closely together in an environment of respect and trust. You will help bring people into the conversation. ● Transparency: Trust is built on openness and transparency. For example, all our code is open source and we share information openly with communities and colleagues. ● Ability to work autonomously with minimal supervision. We offer a dynamic working environment that suits people who are self-motivated and can work autonomously. You will naturally have strong communication and organisational skills and can work on complex issues where analysis of situations or data requires an in-depth evaluation of variable factors. Depends on Experience - Come and Talk to us!